OK, I’ll admit it, this change was due. After the season Tiger Woods had, he is not the best golfer in the world right now. There are a lot of amazingly talented golfers in the world at this time and each week we’re able to watch with awe as they display their talent for the world to see. Guys like Jim Furyk with his 3 win season that earned him the 2010 Fed Ex Cup title, Phil Mickelson, who won the Masters this year, Ernie Els who had a great season as he was finally getting back to the elite status we’ve seen in year’s past, Steve Stricker who is always toward the top of the leaderboard, even guys like Martin Kaymer who burst onto the scene this year with a bunch of wins including a major at the PGA Championship. Tiger Woods has held the top spot for so long that there are kids nearing the half-way point of their kindergarten year of school that have never seen anyone else be #1. So yeah, it was definitely time that one of these guys knocked him off the top spot after the kind of year he has had. Wait, what? None of those guys mentioned above took over #1? You’re kidding me, right? Yeah, that’s exactly what I’m thinking too. Lee Westwood is now the #1 golfer on the planet. Lee Westwood, the same guy that cannot piece together 4 full rounds of golf is now the best golfer in the world; they really expect us to believe this? Not only is Lee Westwood #1, he didn’t even have to play golf this week to take over the spot. That doesn’t even sound right, doesn’t even make sense, and if anything just makes a complete mockery of the Official World Golf Ranking list. Hang out on THP for a while and you’ll hear some of our members saying things like Westwood is a choker, he’s a bum, and Westwood must be very religious because he refuses to work on Sunday. I get that Tiger Woods is not the best golfer in the world right now, but what I don’t get is how anyone can try to convince me to believe in a point system that would allow for Lee Westwood to take over the top spot on the list without even playing in a tournament this past week. They’ll try to convince me that this is legit based on his finishes this year in majors but be real, to be the best you have to beat the best, not finish 2nd to them. It’s true that you don’t necessarily have to win a major to be world’s No. 1. Westwood is actually the fourth player to reach No. 1 without winning a major. Ian Woosnam reached No. 1 in 1991 the week before he won the Masters, and Fred Couples was at No. 1 in two separate weeks a month before he won the Masters. David Duval was No. 1 for 15 weeks in 1999, two years before he finally broke through in his British Open win. So obviously a major title to your resume is not a requirement, but shouldn’t a win on golf’s biggest stage, The PGA TOUR, be one? Yeah yeah, I know Westy won this year on TOUR, but we all know if not for the colossal collapse by Robert Garrigus he wouldn’t have won the St. Jude’s Classic earlier this year, and even there we saw him take a lead into the weekend only to let that lead slip and ultimately putt out on 18 knowing he choked another one away. In comes Garrigus with his best Lee Westwood impression that allows him back into the event that he would ultimately win. Give me a break. Before that his lone win on the PGA TOUR came clear back in 1998 at the then Freeport-McDermott Classic (Now Zurich Classic of New Orleans). Fans of Westwood will point to his wins on the European Tour where he has 20 of them, heck even over there he hasn’t won in almost a year (Dubai at the end of 2009). Let’s be honest with each other right now, the European Tour is not the PGA Tour, period and end of story. So what you’re going to say right now is “well what about the Ryder Cup, the Euro team kicks the pants off the guys from the PGA TOUR”. You’ve got me there, I can’t explain the Ryder Cup at all but really, does that mean that entire European Tour is better because of the fact that 12 guys who mostly earned their way onto the team by placing well in big PGA TOUR events are better at team golf? No, not even close and everyone knows it. See, the difference between Westwood and the other players that have knocked Tiger Woods from the top spot isn’t only the lack of a major title; it’s the complete lack of winning tournaments on the biggest stage in golf. You simply cannot make me believe that someone who hardly ever plays on what is ultimately the top professional tour anywhere deserves to be holding down the top spot. This isn’t Westwood’s fault mind you, he has every right to play on whatever tour he wants to and it shouldn’t make any bit of difference to anyone. The problem I have is with the ranking system they use to try to come up with this list. The OWGR points system makes the BCS look perfect. One look at the ranking system explained and I felt like I was about to fail another Statistics exam in college. They’ve got “rolling points” here, “rating values” there, and “ranking values” and “averages” on this side. Put them all together, rub your tummy and pat your head and presto Lee Westwood is the #1 golfer in the world! Where do we go from here? Next week there are no less than 4 or 5 different scenarios in play for a new #1 so most likely the run won’t last too long for Lee Westwood, which will only provide further proof of the fact he has no business being there now. Clearly the people in charge of this system need to take a long hard look at how they come up with these rankings and go back and tweak where needed or just completely start from scratch. The points system or the rating values they’re using don’t seem to work. Look at Phil Mickelson’s 2009 season, 4 wins worldwide including 2 WGC events and the TOUR Championship. No way that guy wasn’t the best player in the world last year. Mickelson didn’t even come close to taking over the top spot until this season and we all know what he did each time he tee’d it up with a legit shot at claiming #1, most likely the same thing Lee Westwood would have done had he even had to tee it up this week. I give up, wake me up when Westwood wins something, will ya? pretty entertaining read P4B, but the system is in place and there’s not much we can do about it. 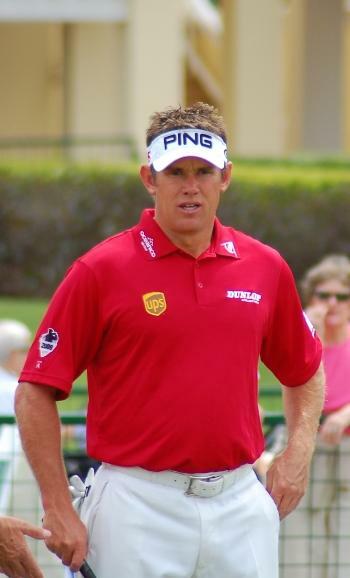 right or wrong, lee westwood is the #1 ranked golfer in the world right now and i say congratulations! the only thing that was right about all of this was that tiger shouldn’t have been the #1 ranked golfer in the world. i’m to insignificant to make any changes to the system. it is what it is. again, great write up, i enjoyed the read. Firstly, I know its not April 1st, but is this article for real? “So obviously a major title to your resume is not a requirement, but shouldn’t a win on golf’s biggest stage, The PGA TOUR, be one?” – No it isn’t, and no it shouldn’t, get over it. (Even tho Westwood won in US this year). “12 guys who mostly earned their way onto the team by placing well in big PGA TOUR events are better at team golf?” – You know the Ryder Cup rankings as well as I do, 4 from worldwide list, 5 from Euro list, 3 wildcards. Lee Westwood is not the best golfer in the world right now, thats clearly Kaymer. But he’s the highest ranked golfer because of his incredible consistency. Were it not for injury he’d have been no. 1 ages ago. And while we’re talking about choke artists, didn’t someone else have multiple oppurtunities to topple Tiger recently, only to flop (no pun intended) when the pressure mounted? The rankings system is far from perfect, how on earth could Tiger remain at no. 1 for soooo long. So I do agree it needs an overhaul..um…period…ahem. I agree with the article. And I guess to the above poster, I must not live in a real world. I thought number one was supposed to signify the best at what they do. Ask any golfer on any tour, the best is the person that wins at the largest events, the MAJORS. Having a number one that has never gotten it done at these events and borderline choked at quite a few signifies a whole lot about being number one. He will win his, but it takes time. Just ask his friend Monty. Oh wait, that wont work. Excellent read P4B. Your article sure has spawned some good debat and thought which whether or not it was your intent, I think is a good thing. Well done! A great read P4B! I think the last paragraph sums it up for me regarding Phil. Tiger (was) the most dominant player out there until last Thanksgiving. The four years to that point he had spent at the top was because he was the best out there by a HUGE margin. His wins and wins at Majors speak to that. Yes he hasn’t won anything this year, but he did have 6 wins last year. Westwood only had 2. So in a two year period, Tiger still has double the wins Westwood has. If Phil couldn’t do it with 4 wins last year (and with the importance of those wins), Westwood gaining this spot seems like utter madness. Tiger isn’t the best player, but niether is Westwood plain and simple. Needless to say, I’ll be watching the WGC this weekend with keen interest as four players can take the top spot. Recent performance has got to start counting for more in the rankings instead of what these guys did five years ago. By the time anyone accumulates enough points to be #1 those points are irrelevant. How does tennis do their rankings? Are they this delayed? I think the European tour is quickly catching up with the PGA tour in terms of quality. I agree 5 years ago all the good International players played full time on the PGA tour, but now most of the top European players are at least splitting their time between the US and Europe. Just have a look at the Race to Dubai points and see the players on the list. I really think it is a match for the players at the top of the FEDEX cup. As for Westwood being No.1, I don’t really think he should be, but he has been one of the most consistant players for a couple of years now, challenging for nearly every tournament me enters, and the way the ranking system works thats how you will become No.1. I think the rankings put too much weighting on events from more than a year ago, it should be cut down to a year and a half IMO. You think so Harry? I have to say I disagree a little. Look at the recent Ryder Cup. Look at the teams and players and you will see that MOST play on the PGA Tour. I do still think that the PGA tour is still ahead, but I think the gap is smaller than it once was. When you look at the European team most of them now play mainly on the European tour. There are a couple who split their time, but its no longer that the all the top players play the PGA tour, and the rejects play the European tour. I think you guys are missing the point,the ranking system is flawed, Kaymer should be the No1 but aside from that it is a WORLD golf ranking not a pga tour ranking.Just because he plies his trade in Europe and has his priorities right (wanting to spend the summer with the kids) he is consistantly up there in every tournament.Maybe more weighting should be given to tournament wins but you can’t knock the man for being top but you can knock the system. i have to agree with shewy here, there’s no need to knock westwood in this situation but the flawed system. i have offered my congratulations to mr. westwood b/c we all know his reign won’t last long. I completely agree that it’s not Westy’s fault, heck I don’t even hate him one tiny bit. I’m a big fan of how he has brought his game back from the abyss that he found himself in a few years ago. If you re-read my 2nd to last paragraph you’ll see that I definitely agree that it’s not Lee’s issue, and anyone else in his shoes would be completely pumped about the honor. So good for Lee but we all have to agree that the system to identify the #1 golfer is a joke at best. entertaining read Jason. I always like the eyeball test. 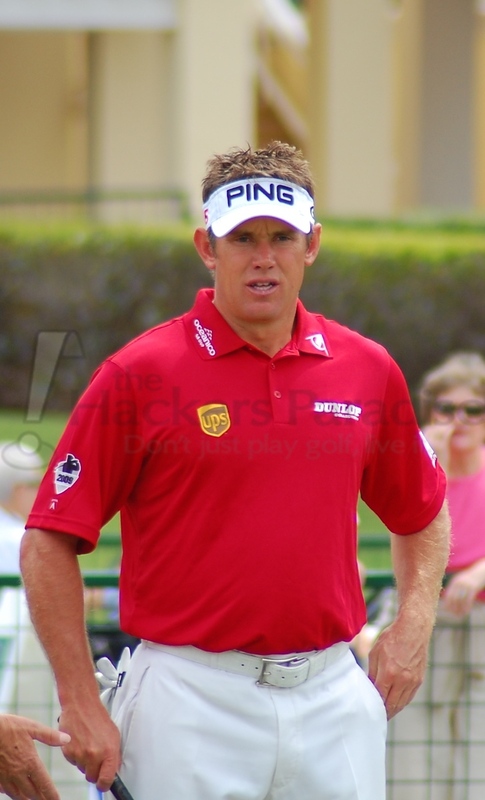 Does Lee Westwood look like the number 1 player in the world? How about on a Sunday at a major? You may want to check your list again. Last time I checked, Rory, IJP, GMac, Paddy, and Luke all play more or will play more on the PGA Tour. And now Kaymer is leaning towards PGA Tour as well. Better check that list again.